Tool Technologies by Van Dyke specializes in making your custom-cut and stock parts from metal and plastic. Our present product mix includes automotive parts, parts from the electronics and battery industries, and meter parts. We are a resourceful shop that allows you to source all your parts made from a variety of materials, from one supplier. 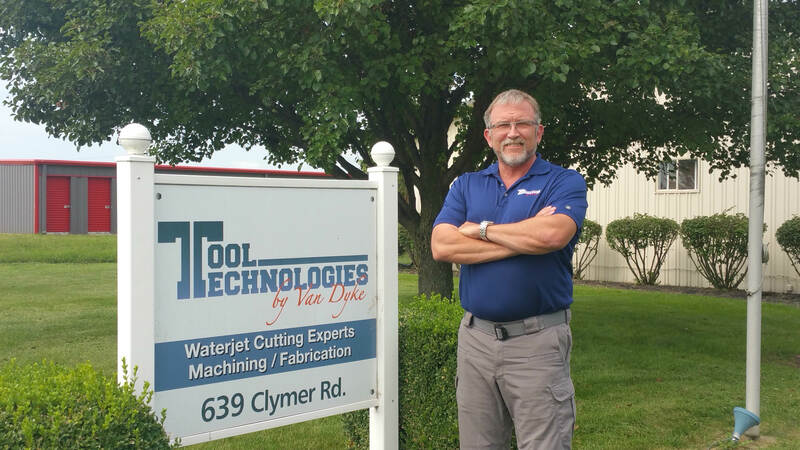 Steve Van Dyke is the owner and founder of Tool Technologies by Van Dyke, and Ohio Waterjet Cutting. He started the shop in his garage in 1991, and has 26 years of experience making parts to order. Steve is in charge of sales and customer relations, and oversees all of the day-to-day operations of the company. Though he began small, he has experienced consistent growth and success. One of Steve’s earliest machine tools is displayed in the lobby of Tool Technologies’ shop. Although it is not used today, it serves as a reminder that one need not have the most expensive equipment at the beginning in order to learn to serve customers well and keep them returning for high quality parts and world class customer service. Howard Van Dyke is Tool Tech’s Project Engineer, and has been working with Steve since 1999. He utilizes multiple software solutions to most accurately service the varying demands of our customer base. His focus is on managing the engineering and programming functions of the shop, along with preparing quotes for parts, and ensuring that the paperwork is prepared for all parts to be manufactured and orders delivered on schedule. Howard is considered a math genius and has an innate ability to manipulate numbers to make the machines perform to their highest ability and produce the desired outcome. Howard and Tool Tech have also been discussed and quoted on investordigest.com and Modern Machine Shop. YOUR OHIO WATERJET CUTTING EXPERTS! Do not wait: the time will never be ‘just right’. Start where you stand, and work whatever tools you may have at your command and better tools will be found as you go along.